Frost white cylinder glass shade with pressure formed base. 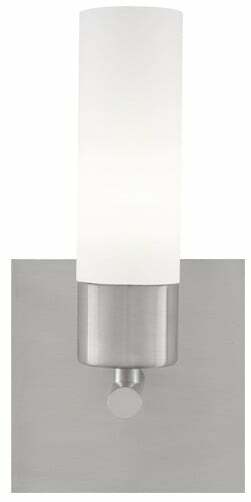 Provides ambient, up, and down light. Includes 120 volt, 40 watt G9 base halogen lamp. Dimmable with a standard incandescent dimmer. 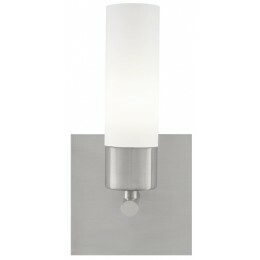 The Tiella 800SCLARWS Largo collection Sconce Wall Lighting in Bronze uses Incandescent light output and brings Contemporary style. This item is 9.5"H x 5"W. The total wattage is 40 and the voltage is 120 volts. The Tiella 800SCLARWS requires 1 bulb (included). Additional Information: Shade-Frosted White Cylinder.